You may experience problems with your Samsung camera from time-to-time that don't result in any error messages or other easy-to-follow clues as to the problem. When you encounter very few clues, Samsung troubleshooting for your camera can be a tricky process. But before you turn the model over to Samsung camera repair options, use these tips for a better chance to fix the problem with your Samsung camera yourself. This problem usually is related to an empty or low charge battery. If the battery is charged fully and the problem persists, the camera may need a repair center. It's also possible that the rechargeable battery has simply worn out, leaving it unable to power the camera for more than a few minutes. You can try purchasing another battery to fix this problem. If the camera will not turn on, first make sure the battery is fully charged and is inserted correctly. Otherwise, remove the battery and memory card for at least 15 minutes before trying to power on the camera again. If it still will not power on, it may need a repair center. If you're having trouble making your Samsung camera work with Windows 10 after it worked OK with previous versions of Windows, you may need a firmware upgrade. Visit the Samsung support website, find your model, and download the latest firmware and drivers. Depending on the model, however, an upgrade might not be available. If you have multiple lines on the LCD when reviewing photos, you may have a defective display screen or a defective lens. If, after you download the photos, the horizontal lines remain in place as you view them on the computer, a defective lens is a likely culprit. The camera needs a repair center. If the photos on the computer don't have the lines, the camera's LCD may be defective. This is a common problem after the camera is dropped, as the camera may suffer internal damage causing these horizontal lines to appear. A common problem that you'll find with almost any brand of camera, including Samsung cameras, occurs when trying to save photos to the memory card. Often times, these types of errors are related to the memory card itself. Either try a different card or make sure the card's write-protect switch is not engaged. You also may have to format the card inside the Samsung camera to allow the card to work properly with this particular camera. Keep in mind that formatting a card erases all photos stored on it. When the lens sticks while retracting or extending, it's possible that the battery doesn't have enough power to move the lens. Recharge the battery. If the lens still sticks, try pressing the Play button on the back of the camera, which should reset the lens. You also need to check the area around the lens housing for any grime or debris that could be causing the lens to be stuck in place. If you see grime you will need to use a microfiber cloth to remove it. If you just cannot find any specific reason for the lens to be stuck, the camera may be in need of repair. 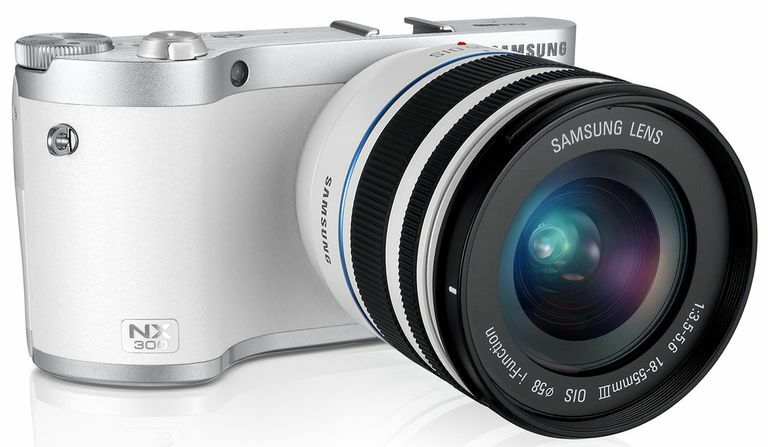 While shooting video with Samsung cameras, you may lose the ability to record audio when moving the zoom lens. There is no "fix" for this, outside of not using the zoom lens while shooting video. When you see an error message displayed on the screen of your Samsung camera, look through the camera's user guide for a list of error messages and potential solutions. Most of the time the error message table will be toward the end of the user guide, but you may have to hunt around for it. Most of the time, ghostly white dots in an image occur because the flash strikes dust particles hanging in the air. Turn off the flash and activate dual image stabilization on the Samsung camera.